Divorces are complicated and emotionally charged proceedings – especially when parents cannot agree on a child custody arrangement. However, it is important that parents remain objective despite the challenges of divorce because the sudden lifestyle changes can put immense stress on children. Remaining civil also will help you avoid mistakes during child custody disputes. A single mistimed statement or ill-advised action could affect the outcome of your case. If you are facing divorce in Arizona, contact the Zachary Law Group, P.L.C. Steven Zachary is a Chandler divorce attorney who will answer your questions about child custody, prenuptial and postnuptial agreements, alimony and other aspects of family law. 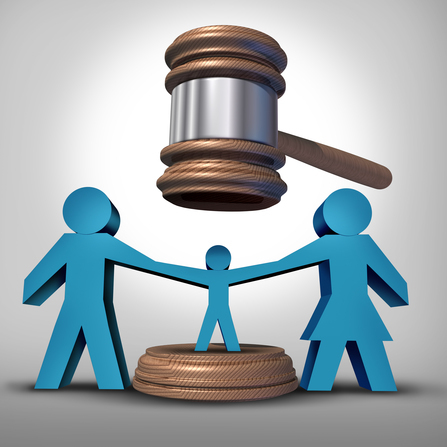 There are several factors that judges in Arizona consider when awarding child custody. Your family lawyer will provide recommendations to help you demonstrate that you are a responsible parent. Child custody cases are often the source of immense stress for parents. The heated emotions can cause people to make mistakes that threaten their interests. While your case is pending, consider experimenting with healthy strategies to de-stress such as meditation, exercise or yoga. Depending on the reason for your divorce, it may seem impossible to respect your ex. However, insulting your former partner will not help your situation. It is usually best to demonstrate that you are willing to encourage a healthy relationship between your child and his or her other parent. As difficult as this may seem, you should only discuss the details of your case with your attorney. Posts on social media sites are usually admissible in court, and insulting your ex or making other brash statements on a social network could hurt your interests. Never forget that you are fighting to protect the interests of your children. Family courts always prioritize the needs and wishes of the child over those of the parents, and it is important that you do the same. Just because your ex was a bad spouse does not mean that he or she is an irresponsible parent. Do not let your resent prevent your children from having a relationship with their other parent. If you are considering divorce or facing a child custody dispute in Arizona, contact the Zachary Law Group, P.L.C. As your family lawyer in Chandler, Steven Zachary will evaluate your case, explain Arizona divorce laws and protect your interests. Mr. Zachary is a divorce attorney with more than 25 years of legal experience. Call 480-389-3533 to schedule a free case evaluation.